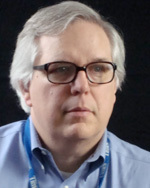 Mike Knaak is responsible for news content in Times Media’s family of websites, breaking news coverage online and in print, photos, multimedia and newsroom systems. He also works with reporters on computer-assisted reporting enterprise. Mike has worked at the Times since 1975 in a variety of jobs including regional news editor, photo and graphics editor, assignment editor and systems editor. Knaak is a former president of the Minnesota Pro Chapter of the Society of Professional Journalists. He is an adjunct faculty member at St. Cloud State. He graduated from St. Cloud State in 1975 with a Bachelor of Arts degree.